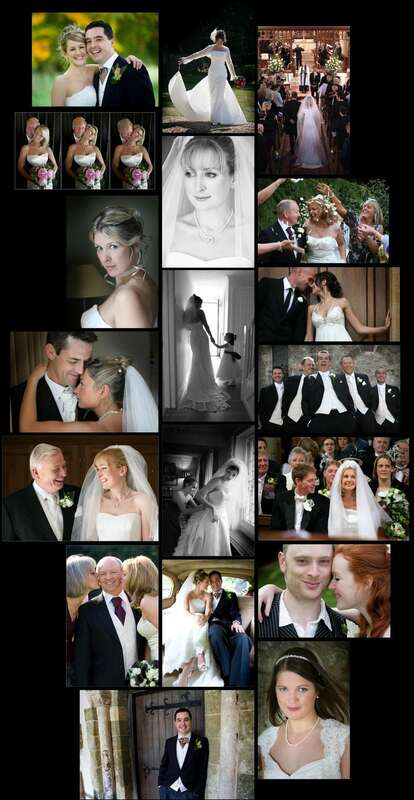 I am a female wedding photographer based in Romsey, Hampshire. I prefer a natural and relaxed approach to wedding photography. The photos displayed here are some of my personal favourites - but I would naturally include formal family and couple pictures. Viewing my pictures will best communicate my style. My aim is to provide a great collection of people centred photographs. I started my photographic career in a make-over studio where it was vital to make the woman look beautiful through good posing and lighting. This was an excellent training ground for wedding photography as my brides always want to look fabulous in their photos. I always prefer a natural and unposed look - fixed grins are a bit wearing! The photograph is just the starting point... I will then work on each picture to bring out the beauty and minimise blemishes and imperfections. My job is to produce a great set of photographs according to your requirements, and make sure the day runs smoothly. Weddings can be unpredictable with timing and the weather, but after many years I am experienced enough to deal with any hiccup. My clients either want the minimum of fuss with plenty of time to enjoy their day with wedding guests or require more direction from the photographer to be sure of getting the pictures they were dreaming of.